Dr. Shulman talked to SocialWorkersSpeak.Org about his difficulties as an undergraduate student, the core beliefs of the interactional model, and his thoughts on the safety concerns facing child welfare workers. Q. Why did you decide to pursue social work as a profession? Describe your journey in the profession. Shulman: I was the first in my extended family to go to college. I started at City College of New York at the age of 16. At that time, it was free for anyone who passed the admission’s test. I had no idea what career I wanted to pursue. I selected engineering because my father was an electrician. After failing most of my courses, I was referred to academic counseling and took the Kuder Preference test. It indicated I should consider social work. I thought that was a ridiculous idea and instead majored in sociology. After six years of struggling to pull my grade average up, I accepted a summer job as a waiter at a camp for children and adults with physical disabilities. I loved it there. The camp was run by social workers, one of whom was Mel Herman, the future dean of the New York University Silver School of Social Work. When I graduated from college, Mel and the other MSW camp staff suggested I apply to the Columbia University School of Social Work. With their strong references I was accepted as a “risk” student with a group work major. I became President of the Student Association and earned straight A’s. I had found my calling. Throughout my career, I was influenced by significant role models who instilled in me a sense of my role as a social worker and the importance of addressing issues of social justice. I went on to teach at a number of schools of social work, finally accepting the deanship at the University at Buffalo School of Social Work. For over 50 years, my scholarship and research has focused on generalist practice, group work, child welfare, field instruction, and supervision. At this point, I am semi-retired. I’m still writing and publishing, doing workshops, and serving as the part-time director of a school violence prevention project in an inner-city school in Buffalo. A few years back I was honored to receive an outstanding alumni award from the Columbia School of Social Work. In my acceptance speech, I urged them to continue to take chances on risk students. Q. How was the interactional model developed? What inspired you to write Social Work Practice in Child Welfare: The Interactional Model? Shulman: I first discovered the interactional model through William Schwartz, a Columbia SSW Professor, Schwartz (who I counted as a friend, colleague, and mentor until his death) was the person who first proposed a new paradigm for understanding practice. In a seminal group work article in 1961, he advocated an approach that made use of the potential for mutual aid and redefined the role of the social worker in leading groups. I built on his work over the years through research (mostly in child welfare in Canada and the United States) and expanded the model to all social work fields of practice (e.g., medical, residential, mental health, family counseling), as well as to teaching and supervision. 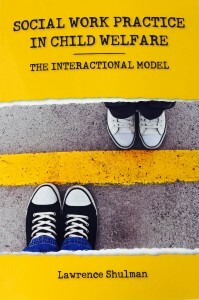 My classroom teaching, workshops with social work professors and field instructors, and work with client groups all added to my understanding of how to apply the interactional model to practice analysis. A core belief of the interactional model is that all clients have the ability, if aided by the professional and other group members, to find their strength and overcome adversity. In this paradigm, the key source of healing is not in the group leader, but rather, in the group members. By choosing a different pro-bono client group to lead each year of my academic career, I was able to apply the core of the interactional model while also learning how to adapt its central framework (constant elements) to different populations and problems (variant elements). Working successfully with married couples, single parents, foster parents, foster children, students suspended from school for violence, and many others showed me how effective the interactional model was in practice. Almost half of the agency workshops I led over the years were with child welfare workers and supervisors. I gained tremendous respect for them, as well as an understanding of the secondary trauma they often experience. This book was my way of paying something back to all of those staff members who taught me so much about child welfare practice. Q. Can you recall a specific case from your own career in which the interactional model was especially beneficial? Shulman: In 1987-1988, I led a weekly group for persons with AIDS in substance abuse recovery. This was early in the epidemic. New treatment raised the hopes of some group members for a cure. Most had attended groups for people with Aids and/or recovery groups for their addictions. Each dealt with their problems in a silo. They were reluctant to discuss AIDS in the recovery groups and hesitant to address their addiction in the AIDS groups. The interactional model allowed me to describe an enterprise in mutual aid in which they could discuss not only the impact of AIDS and their recovery struggles, but how each impacted the other. It was amazing to watch over the course of eight months how these clients (many of whom had survived some form of emotional, physical, and/or sexual abuse) could reach inside of themselves to find the strength to help each other. Q. Your book examines child welfare social work across a broad range of practice arenas, including child protection and investigation, family support practice, foster and residential care, and the adoption process. What do you think are the most important things for child welfare workers to remember, no m atter their focus? Shulman: I believe understanding the concept of the “phases of work,” the particular dynamics in each phase, and the required worker skills and interventions are vital to effective practice across the board. When engaging a client, it is crucial to develop a positive working relationship. There may be many early barriers to building a caring, trusting rapport, including defensiveness, resistance, and a mistrust of the worker’s authority. However, open and honest contracting, genuine empathy, the recognition of inter-cultural (e.g. a white worker with a worker of color) and intra-cultural issues, and the skill of making an empathic “demand for work” are all central components of relationship building. The worker in any practice arena has to also learn to monitor his or her own feelings and be aware of the possibility of secondary trauma. Self-care is crucial for front-line workers and supervisors. If one does not care for oneself, it is difficult to care for others. Q. One unique feature of your book is that you devote an entire chapter to supervision in child welfare. What aspects of supervision do you focus on in your text and why? Shulman: The interactional model recognizes the principle of the parallel process, or the idea that the way in which one level of an agency (e.g., supervisor to front-line worker) conducts supervision has a powerful impact on the next level (e.g., front-line worker to client). This is true at all levels. A supervisor who does not demonstrate genuine empathy for their front-line workers cannot expect the workers to be empathic with clients. My research, practice, and workshop presentations have consistently supported this concept. In child welfare, where secondary trauma is not uncommon and can result in burnout and frequent staff turnover, it is extremely important for every person in the field to receive the support they need to do the job. My book also examines the issues associated with traumatic events (e.g., the death of a client or the attack on a worker) and the impact of often unfair and negative community reactions on supervisors and front-line workers. Q. In your opinion, what kind of reforms, policies, or practices would contribute to the safety of child welfare workers? Shulman: First and foremost, child welfare workers and their supervisors need manageable caseloads. A reasonable case load allows workers to be more attuned to their clients and any potential threats they may present. It is also important to create a culture where it is acceptable for workers, both new and experienced, to express concerns and seek advice and support from their colleagues. It is not unreasonable to be afraid of potentially violent clients. Some agencies have developed call back plans where a worker making a home visit will agree to call back to the office at a certain time. If that call is not received, it is a signal that the worker may be in distress, or, as has been true at times, is being held in the home. In some cases when there are concerns about the possibility of serious conflict with the client, visits are held in the office, rather than in the client’s home. Sending two workers on difficult calls can also be helpful, but heavy caseloads resulting from turnover and burnout can often make this impossible. Finally, conducting reviews of threatening situations and how they have been handled can lead to agency policy changes that prioritize the protection of workers among other important concerns. Q. What do you hope readers that will take away from your book? Shulman: I hope that readers will incorporate concepts and models that will help them to appreciate what they are already doing well and understand what they can do differently. I hope they will see that the interactional model offers significantly different choices for interventions. Challenging false dichotomies is a central purpose of this book. My hope is that readers will not feel that they always have to choose between protecting the child and preserving the family, or between support and confrontation, the personal and professional, or the client and the agency. I hope this book will help the readers to understand child welfare practice in a new way and accept that developing practice insights and skills is a life-long professional task. Q. What advice would you give to those entering social work or related professions? Shulman: Social work is a unique profession that, almost from its inception, has integrated a concern for helping and healing clients with challenging political and social systems that negatively impact the people we serve. It is a profession that should be simultaneously concerned with private troubles and public issues. My mother once asked me, “Now that you have an MSW, what do you do?” I hope that when today’s social workers complete their professional training and are asked the same question, they do not reply that they are a cognitive-behavioral therapist, a psycho-therapist, or a group therapist, etc. Instead, I would hope that they reply that they are a social worker and proud of it. Social Work Practice in Child Welfare: The Interactional Model is available for an Early Bird discount until December 20. For more information about publishing with NASW Press, please contact Stella Donovan, Acquisitions Editor, at sdonovan@naswdc.org. 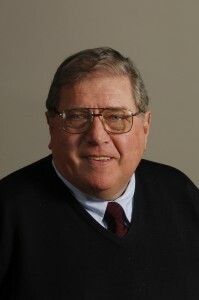 Lawrence Shulman, MSW, EdD, is professor emeritus and former dean of University at Buffalo School of Social Work. He continues to write and provides workshops on child welfare practice, the skills of helping, group work, and supervision and management.